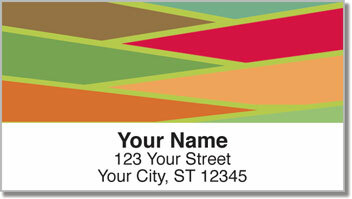 Make your mail come to life with this colorful selection! 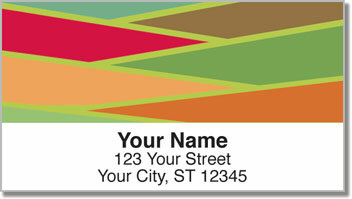 Your new return address labels will give everything you stick in the mailbox an impressive appearance. A rainbow of different hues is woven together in an eye-catching pattern of slanted stripes. It's the perfect personal touch for all your letters and packages. However, while the look of this design is quite intriguing, what you'll really appreciate is how much easier they make an everyday job. You'll never have to scribble your name and address on another envelope as long as you have these convenient, self-adhesive labels around. 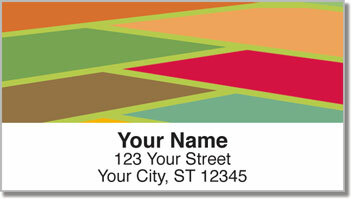 Get your very own Slats of Color Address Labels now! Order them with a stylish set of matching personal checks.